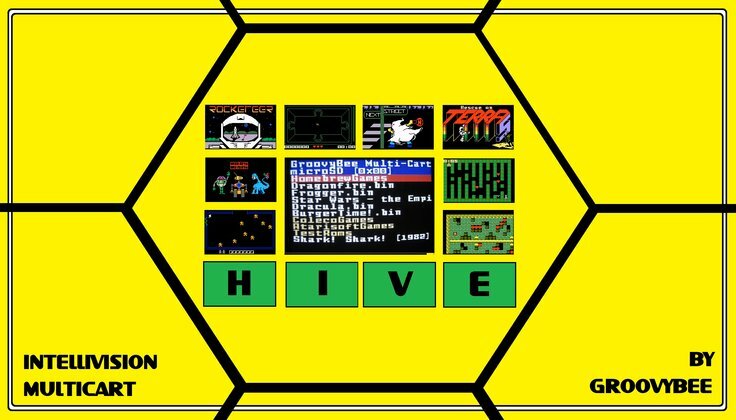 Hive | Welcome to the Intellivision Revolution! 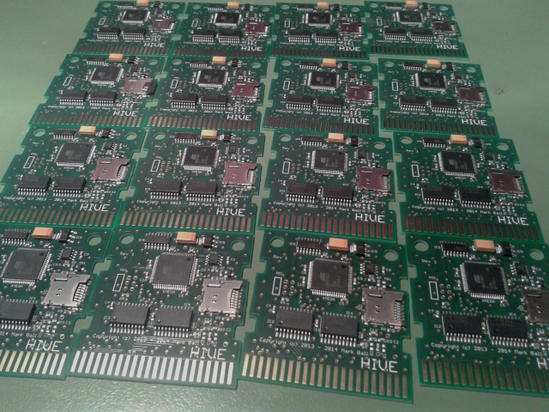 Introducing the HIVE, a new microSD based Intellivision Multicart. Coming soon to your Intellivision. microSD based, will work on Windows/Linux and MAC without additional software required. Based on Bee3 cart technology. Support for *.bin+*.cfg, *.int, *.rom game ROMs. Legacy games and prototypes do not need a *.cfg, they are auto-identified. Support for long file names and folders. 512K of on-board flash for game saves. 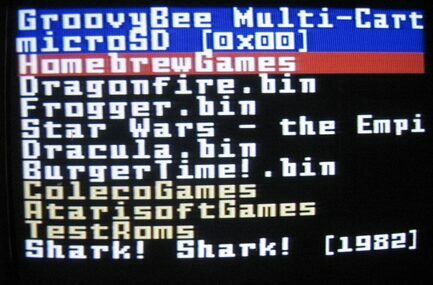 Provides hardware accelerated features for new homebrew games. Low price of $75.00 + P&P for basic version. The deluxe version is planned and will include a microSD card that is pre-loaded with game demos and utilities. Files are displayed in white, folders are in yellow. 8K, 16K and 32K *.rom files supported so far. 8K/16K *.bin files (with built in simple database lookup) supported so far. The number in the top right of the video is the "busy indicator". Files larger than the available RAM are played from the cart microcontroller's flash memory. Analyse as many ROM files as possible and fill out the *.bin database for all 125 legacy games (and the protos).